I had an accident in 2015 that stopped me exercising for some time. I then struggled getting back to feeling my best in 2016. I was actually really unhappy in 2016 because my health was suffering and I was feeling lazy and unmotivated. I've been reading some tips for being healthier but they are all pretty impersonal. I've come up with my own very basic tips - giving me some goals, focus and motivation and I thought I'd start a blog to keep me honest, but also to see if anyone out there has some tips to throw into the mix. I've put motivation up top. This is most important and often with work, family, a dog, kids, etc it's difficult finding time and energy to look after myself. It sux because I know that if I spend even 20 minutes at the gym, or get out on the bike, I feel so much better. So how to stay motivated? I find it easy once I'm in a routine, but not so easy once the routine is no more. This year I've set myself some goals to commit to exercise every week by myself, but also with a personal trainer once every two weeks. I'm also looking for a friend to hit the gym with to push me. I never miss golf because of the guys I play with - so I'm aiming for the same at the gym. 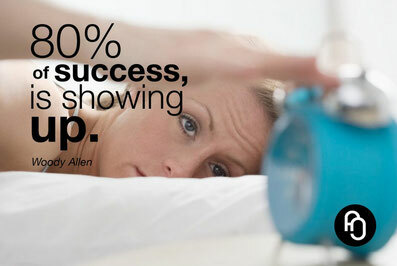 Apparently Woody Allen said "80% of success is showing up". If you wait for the perfect conditions you'll never get started - so the important thing is to start. Even if you start slow. I started this at the end of last year. After an injury I'd had a long break from the gym. I started going back for just 10-20 minutes a couple of times a week and took it very easy (I had to because I was sooo weak). But it was easy enough to get me started and keep me going back. So I'm on the right track, or at least started. Don't worry I'm not going to say SMART objectives. You don't need to go that complex in my opinion. Stay simple. Set short term goals that are easy. Choose a short time frame and goals you can achieve - such as going to the gym (or jogging/walking/doing free weight exercises at home) for 20 minutes 3 times a week. It's a short time that doesn't impact your week much. And then plan to increase after a month. Either the time or numbers to say 30 minutes 3 times a week. Drinking fluids in general helps keep you healthy. When you're hydrated (especially in our Perth heat) you feel more energetic, more alert and on the ball. The last year I've kept a water bottle with me and at my desk to encourage hydration. I still forget some weeks to drink water and I swear I get headaches, and feel terrible. So I'm committing to drinking more..... especially water. I just found this with some consequences of dehydration. 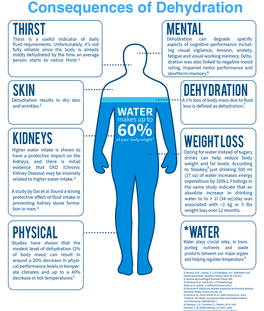 Just more motivation to drink more water! I mentioned earlier that routine is critical for me. I need to incorporate things into my life. It's why cycling is great for me. I love to cycle to work, it's good for me, faster than driving at peak hour and I save money. So I'm highly motivated to get on the bike. We all have routines. So incorporate fitness into the existing routine. I'm going to do some basic workout at home while watching tv. And also run the dog at least once a week rather than just walking her. There are plenty of other potential ways to incorporate more fitness into your daily routine - even 5-10 minutes. So that's some of my musings for my fitness for 2017. It's really all about motivation for me. Let me know if you have tips that have helped you. If some one wants to be updated with most recent technologies afterward he must be visit this web page and be up to date everyday.